Facebook is the undisputed king of social media. It’s nearly 2 billion monthly active users isn’t close to being touched by any other social media platform. Even with an audience as large as this, growing your Facebook following can be tough, really tough. Both new and more established Facebook pages are finding it more and more difficult to grow their following. This is due to increased competition. As more and more companies start taking advantage of Facebook there is less and less space available on consumer’s news feeds. This means that, on average, fewer people are being shown your posts. Pretty hard to grow a following if nobody sees what you post! There is still hope however! In this article we will explore 8 ways that any business can grow their Facebook Page following. You don’t want just any people following your Page though. To really get the most out of your Facebook marketing efforts you want engaged followers. When growing your Facebook following there are two kinds of people that fill follow your page; blind followers and engaged followers. Blind followers are people that don’t care about your brand. They followed your page either on a whim or because they had to in order to enter a contest. While having a ton of blind followers can look good on paper, they are essentially useless. Blind followers skim by your updates without ever looking at them. Engaged followers, on the other hand, do look at your updates. More than that they read, like, share and comment on them. Engaged followers spread your brand to their friends and family, helping grow your Facebook following even further! In this article we will focus on how to build a large following of engaged Facebook users. The first thing you have to do to increase your Facebook following is let people know where to find you on Facebook. The easiest way to do this is by adding Facebook Social Plugins to your website. Facebook offers many social plugins, from simple “like” buttons to ones like this that allow users to comment on Facebook directly from your website. Facebook Social Plugins allow your website visitors to follow your Page right in your website. They vary from simple “like” and “share” buttons to more complex plugins. You can even embed your Page feed into your website, giving your visitors a preview of the kind of content your Page posts. Content is king on Facebook. No matter how well you execute everything else on this list, if you don’t post great content, you will not build an engaged Facebook following. To be successful on Facebook you should post a mixture of original and curated content while keeping self promotion to a minimum. Too many small businesses use their Facebook Page exclusively as a promotional tool. Looking at their Page feeds all you see is post after post promoting products and sales. 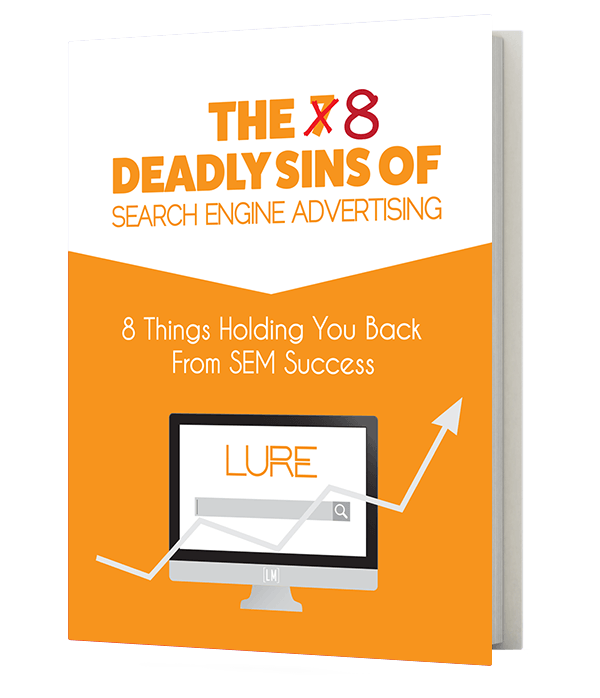 Consumers generally don’t respond well to this type of strategy. Over time they will begin to ignore your posts, or simply unfollow your Page. Common practice on social media is for 20% of your posts to be promotional. The other 80% should be focused on providing value to you followers. Remember that social media is a two way street. If you want something from your followers, you first have to give them something. If you consistently give them helpful, valuable content, they are much more likely to listen when you do post about your new product or upcoming sale. Valuable content can take many forms. From teaching your followers something they may not have known about your industry, to giving them a behind the scenes look at your business, to simply making them laugh, what you post is completely up to you. That isn’t to say you should post every interesting fact or funny meme you come across though. Make sure that what you post is in some way relevant to your business, your city or your industry. Chances are that your followers liked you Page because they like your business. No matter how interesting it may be, sharing a post about the housing market in New York isn’t very relevant to them if you are a restaurant in Toronto. Highlighting a local supplier you deal with or posting about the 10 best late night snacks will likely be much more engaging to them. Small business owners getting started with Facebook often forget the social aspect of it. Facebook is meant to be a place to communicate with people. As you build an engaged following, you also need to start engaging with them! When one of your followers posts a comment, leaves a review or sends you a message you need to respond. If the feedback you got was negative, ignoring it is the worst thing you can do. Nothing makes an angry person angrier than being ignored. Worse still, other consumers mays see your lack of response as indifference to their complaint. Even if the feedback you got was positive you should still respond. A simple thank you shows that you care and can go a long way to building relationships with your followers. Engaging with other Pages is a great way to expose your business to a wider audience and increase your Facebook followers. Find other local or complimentary Pages and follow them as your Page. As with everything we’ve talked about today, focus on relevancy. Try to find Pages with followers that might also be interested in your Page. This increases the likelihood of people seeing your comments and clicking through to view and follow your Page. 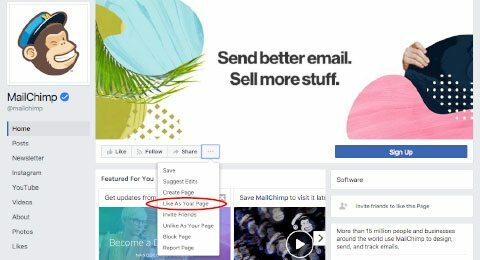 You can like any other Page on Facebook as your Page by clicking on the “…” of the Page and then selecting “Like As Your Page”. Check your feed occasionally, add something of value to existing conversations without promoting your business. Instead, focus on building relationships with active Facebook users and other Pages. This doesn’t need to take a lot of your time. Even doing this for 10-15 minutes a week will help increase your visibility with a wide audience of consumers that might not otherwise be exposed to your brand. Once you’ve built a relationship with a few relevant Pages, reach out to them and see if they are interested in doing some cross promotional posts. Cross promotional posts are when two businesses promote each other by posting about the other business on Facebook. Again, don’t just pick any Page to cross promote. Pick Pages that complement your business and that your followers would be interested in. Going back to our restaurant example from earlier, cross promoting with a car dealership doesn’t make a lot of sense but cross promoting with a local brewery or farmer’s market does. Want to quickly build your Facebook following while sneaking in a little self promotion? Run a Facebook exclusive contest! These are a great way to showcase new products or services and can build a lot excitement around your Page. Some care is required when running contests however. If not run properly, contest will only get you a bunch of blind followers who are only in it for a prize. So how do you run a contest properly? The answer is in the prize, avoid giving away generic prizes like prepaid VISAs or movie tickets (unless you are a movie theatre). Instead, pick a prize that is relevant to your business. Giving away relevant prizes allow you grow a following of people interested in what you offer and keep out people just interested in a free prize. Pick contest prizes that are relevant to your target audience. Note: Before starting your contest be sure to look over Facebook’s contest rules to make sure that you comply. Failure to comply with Facebook’s rules can lead to penalties for your Page. With organic (free) reach declining more and more, to really grow your following on Facebook requires some investment on your part. Advertising on Facebook is the most effective way to grow a large, active following. You will not be advertising your products and services though. You are going to be advertising your Page and your content. Advertising content gives users outside of your current network a preview of your Page and the great content that you publish. This is much more powerful to users than seeing an ad for a product from a company they’ve never heard of. When deciding what content to advertise look at the engagement rates of your posts. Pick one with a ton of engagement already. 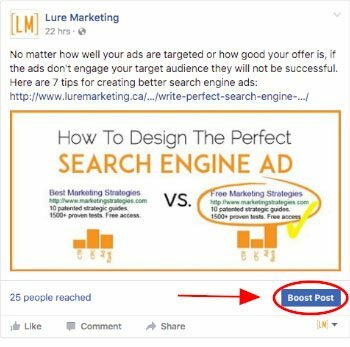 To advertise your chosen post, click the “Boost” button at the bottom of the post, select your target audience, budget and click “Boost Post”. 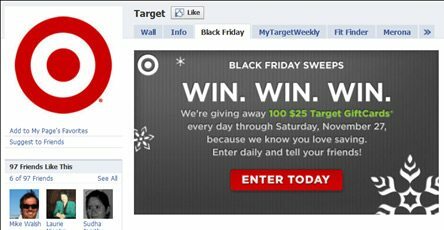 You’re now advertising on Facebook! For a full explanation of how to advertise your business on Facebook, check out our Facebook advertising guide. The last thing you need to do to increase your Facebook followers is to evaluate all of your other efforts. This is done by using Facebook Insights. Insights is Facebook’s built in analytics tool that gives data on the performance of you posts, ads and Page as a whole. Which post type (link, photo, video, etc…) performed best for your Page. The best times to post. Look at the engagement rate of your last month’s posts, are there any days or times of day that seem to get more engagement than others? How many new followers you got, how many of them were paid and how many were organic (free). If you’re not getting my paid likes, or they are costing you a lot to get (anything over $2/like is too much) your targeting could be off. Your overall engagement rate (total engagement/total number of people reached). Use your findings to adjust your efforts for next month. Get rid of what isn’t working and start doing more of what is! Growing an engaged Facebook following takes time and effort. It isn’t easy. In fact, with Facebook’s declining organic reach it is actually growing more difficult. 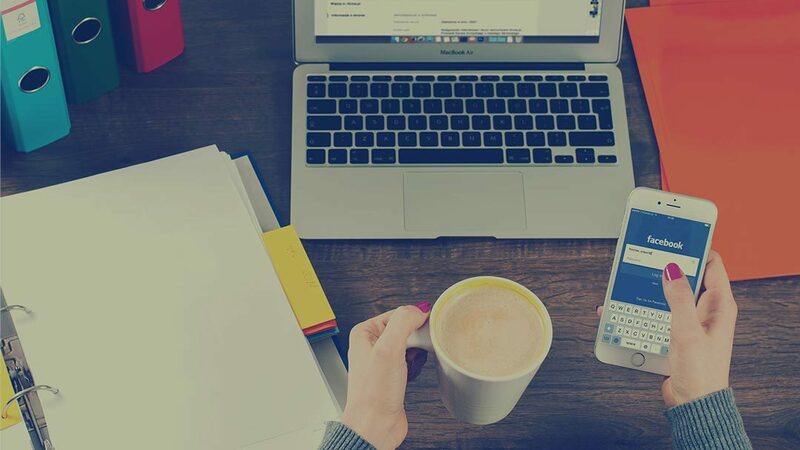 Whether you’re a more established Page or you’re building up your Page from scratch; focusing on the tactics we’ve outlined today you will start to grow a loyal and engaged Facebook following. If there is one last point I would like to make it’s this. Your following is more than just a number. When judging your following you must also look at how engaged your following is. 100 engaged followers are worth much more 1000 blind followers. Those 100 engaged followers are genuinely interested in your business and will help spread your brand to their friends and family. Those 1000 blind followers don’t interact with your Page at all, they might as well not even be there. If you want to get even more out of your Facebook marketing efforts, check out the 7 Facebook features you need to be using.